Bottom: I applied a coat of mascara to each side. Then on the left side only, I dabbed some fibers onto my wet lashes, let it dry, and applied a last coat of mascara to seal them in. Bottom: Same as above. While the mascara alone isn’t that impressive (right side), the addition of the fibers (left side) really adds some volume and length. I’m just not a fan of any clumpiness, so I don’t think I’ll be using this set for normal days. I’m kinda scratching my head on the value of this eyeshadow brush. I don’t think it’s as good as some of my brushes that cost half of what this one does. The synthetic bristles are long and packed into a cylinder that works for applying color directly to the crease, but won’t work for blending since they aren’t fluffy at all. The short length is good for travel and fits into my makeup bag easily. This isn’t a bad brush, it’s just not worth $15 in my opinion. I really like the berry-mauve shade of this liquid lipstick. It smells like icing and applies easily with the doe-foot applicator. The quick dry formula doesn’t feel sticky, dries down super matte, and only transfers a little from the inner part of my lips. I find my lips feeling dry after an hour or two and while the included gloss does infuse my lips with some moisture, it also causes the lip color to transfer and feather a bit. Also, I feel like my tube of gloss didn’t have much in it when I opened it. I’m coming right out and saying it – this collection is not for me. At first glance, the shades look pretty and I like that there’s basically a full look in this box. But, the shadows are not buildable and have barely any pigment. The bronzers, on the other hand, are SO pigmented that it’s nearly impossible to blend them out. Besides the lip color washing me out, it is goopy and sits on top of dry areas and settles into lines. Not a win. In the above look, you can see that the eyeshadows are hardly visible and that, even with excessive blending, I have an orangey perimeter around my face. This nail polish is 7-free, vegan, and cruelty-free. The color is bright coral that is going to be perfect for summer; I love this shade on my toes. Two coats give full coverage and a smooth finish but I still recommend a top coat for max shine and durability. So, I think this must be a bonus item this month. I can’t find this particular bar on sale anymore (even in full-size), so I’m thinking that it has recently been phased out of Juice’s lineup. I’ve tried it before and this one performs the same, so I’m not worried about an expired product here. It leaves a squeaky clean feeling that is a bit too much for my face but perfect for cleaning makeup brushes and sponges. I also think it’s great for hands and body for an invigorating clean. The Verdict: Lola Beauty Box sent some interesting products this month. I’m not wowed by anything, but I like the nail polish and the lip color part of the Doucce lip kit. I’m not a fan of the eyeshadow brush and the palette was totally underwhelming. I’m happy to have received a bonus item, but I’m not counting it in the overall value. As promised, all of the listed items are full size and the retail value exceeds $70. While this month might not be a winner for me, maybe some subscribers enjoyed the products. Let me know what you thought in the comments! Can you still get this box if you sign up today? If you sign up today, your first box will be the February box. What do you think of this month’s Lola Beauty Box? Lola beauty box has horrific customer service. I had leaky masks that were destroyed. I sent pictures like they asked and didn’t hear back. Since they ignored me, I asked to cancel FOUR TIMES via email and was still charged! No phone number or address (that should be illegal). I’m disputing it through my credit card now. Awful awful company who is mean to customers. Is their shipping generally slow? I subbed to this box late February, tracking shows a label was created 02/21, but it still hasn’t been picked up. I was then charged on 02/26 for a second box that has yet to be sent. Is this normal for Lola? The nail polish and the soap are definite winners. The doucce looks like it might be good. but not interested in that palette or the mascara all. Decent box but can’t add on any more subs. You are always glowing girlfriend! Gorgeous….loving. Thank you for an honest review, us readers really appreciate them! Tiffany you are too kind! I WAS a Lola subscriber. When I saw the contents of this box I immediately cancelled. I think they should be embarrassed to have released this array of items to be honest. Your review just reinforced my opinion. To Nina, I am not familiar with every one of the boxes you listed but I subscribe to Look Fantastic and I am happy with that so far, especially for skincare. I would recommend that over Lola any day. Hope that helps! I agree. I have loved all my Lola boxes except this one. This was horrible. The mascara set had like carpet fibers – I felt like I was putting dust on my eyes, and the palette was horrendous. I didn’t cancel, because most subs have one bad apple a year, and I’m glad I didn’t, since the next one was right back up to par. But this one just sucked. I just signed up for this sub and have yet to receive a box. I’m wondering if I should exchange this box for another to add to my rotation. The only ones I don’t have are Yes Oh Yas, Look Fantastic, Sweet Sparkle, Glow Addict, Glitz Glam and Luxe Box (Top Box bi-monthly box) Any suggestions on which of these boxes are best? I love yes oh yas. I’m down to 3 subs now. Ipsy, yoy and new beauty test tube. Ipsy might not be around much longer if they keep sending me lip liners and brow pencils. Lol ya, I’m definitely on overload of some products. I’ll check out YoY. I’ve been checking out the unboxings on YouTube.. it does look pretty good! I’ve just gotten off the waitlist for Ipsy Glam Bag Plus.. hopefully it’s as good as I keep hearing! I don’t know if you realize that Ipsy will let you opt out of 2 kinds of products, not colors though. I am opted out of all highlighters and bronzers and have been re-assured that I will never see them in either my GBP or regular bag. I canceled YOY. They rarely met the promised value of the bag and their C.S. is lackluster to say the least. I’ll rejoin if they work the kinks out. I’d like to see them be successful but they need to work on a few things. Have you tried Tribe? I enjoy them. While they can’t promise as huge of a value as GBP, the owner truly cares about and interacts with her subscribers. Yup I love Tribe! Wish it wasn’t bi-monthly! Don’t waste your time on Luxe box. Samples are often small & things you can get for free. Look Fantastic is UK based so they have a lot of different brands & do include some great products. It’s worth the price but check the reviews so you know what to expect. Yes Oh Yas has had customer service problems from the start & their product quality isn’t the best. Also wouldn’t stick with Lola. I was a big fan for several months & then they sent out a box with two broken items & I couldn’t get any response from their CS. Ended up disputing through my credit card & received a full refund. Luxe is over for US subscribers anyway. They emailed us and said March will be our last one, that they are shutting down the US box. 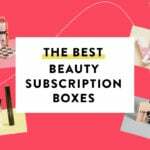 I am not familiar with some of the boxes you mention, but really if you want makeup the heavy hitters are Boxycharm (and expecially BoxyLuxe) and the Ipsy Glam Bag Plus. If you want skincare, then the best ones are BeautyFix and New Beauty Test Tube.